This exciting conclusion to the Normal Family Trilogy opens on a remote Maine island, with a hurricane looming, as Henry Pendergast and family gather to celebrate his 80th birthday. 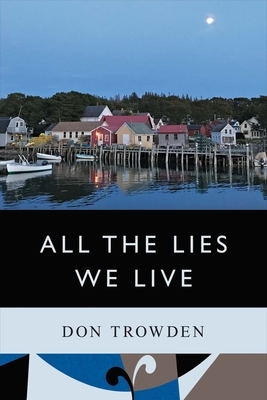 The concluding volume of the trilogy is funny, sad, and filled with the beautiful scenery of a remote island off the coast of Maine. The theme throughout is redemption through love. Nature is a constant backdrop and serves as the central metaphor for the trilogy: that all life is a series of beginnings and endings, a perfectly architected cycle, as seen in the trilogy’s own structure. The three volumes of The Normal Family Trilogy in sequence are: Normal Family, No One Ran to the Altar, and All the Lies We Live. They cover in order: youth, adulthood, and old age.